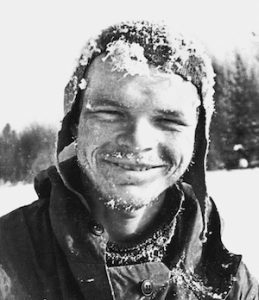 THE DYATLOV PASS INCIDENT resulted in the deaths of nine ski hikers in the northern Ural mountains on the night of February 2, 1959. The mountain pass where the incident occurred has since been named Dyatlov Pass after the group’s leader, Igor Dyatlov. This is a photo of Igor Dyatlov shortly before he and his comrades were killed under mysterious circumstances. Aleksei Rakitin’s book makes a new attempt to analyse all of the information available up until today about the mysterious deaths of the group and to evaluate them for the first time without any of the mystic suppositions that have dogged this unexplained event. After Random House/ Germany (publication of the German translation soon in 2018) foreign rights have been sold now to Dobrovsky/ Czech Republic.